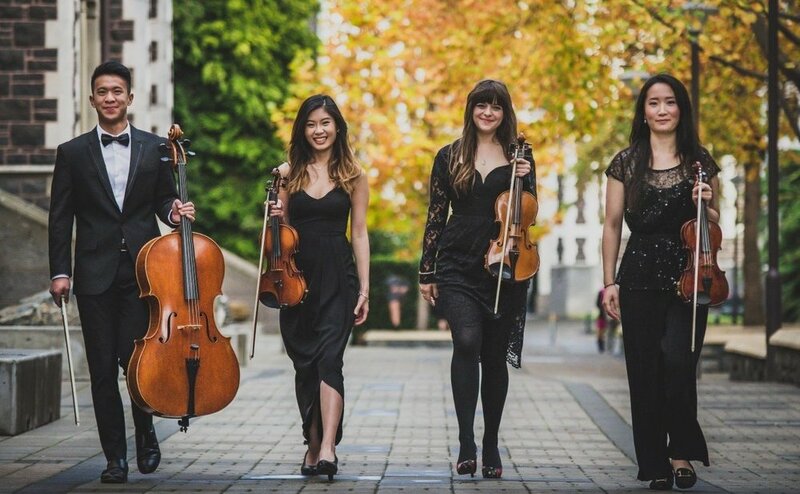 The local and lovely Tui Quartet are presenting 'Art for Autism' – beautiful live music and a family-friendly event featuring a silent art auction. Only gold coin entry! Funds are being raised for this group and for Autism NZ. Sunday April 22, 2pm, at the University Union Hall. Bring your friends and family! It’s time for a fundraising quiz! It's ages since we last ran one. The venue will be doubly awesome: it's an RSA, and it's been recently refurbished! Can you organise a team? It’s also listed as a Facebook event which might help if you use FB, as you get the reminders and so on. All of us in the Otago Children’s Autism Support Group would like to thank you for your generous support at our inaugural fundraising gala on May 5th. The event exceeded all expectations, with a massive $20,000 raised! This is a huge financial boost to our charitable trust, and it means we can continue to provide one-on-one therapy for children on the autism spectrum. Your contribution makes a real difference to our kids and their families in their struggle to deal with this challenging disorder. There’s a long list of super people we’ve mentioned on our Facebook page, including local businesses and prize donors, our auctioneer and musicians and other awesome people, kind parents, friends and family. Thanks all so much, and look out for news of future fundraising events. Fundraising gala coming up in May! This year we’re trying something pretty different and ambitious for fundraising. Loads of people have been generous so far, and our team are hard at work organising what should be a fab evening. Can you help sponsor the night, or buy tickets and come along, or do you know people who might be keen? Watch our Facebook page for more info leading up to the event. Dr. Paul Trani (Paediatrics, Dunedin Hospital) is giving a talk for interested parents and people who work with children with ASD called Complementary and Alternative Medicine (CAM) in Autism Spectrum Disorder (ASD). This seminar runs from 7.30PM - 9.30PM on Tuesday 29th July at Burns Hall in Moray Place, Dunedin (on the grounds of First Church). The cost is $10. Complementary and Alternative Medicine is an important and often fraught topic in the care and treatment of children affected by ASD. Medical studies indicate that a large proportion of families of children with ASD are using CAM therapies. How do we integrate care? The talk will run for about 45 minutes, with plenty of time for questions and discussion. As usual, all funds raised will go toward wages for ABA therapists. Email Mel for more info. Hope to see you there.